It is known from NASCET that CEA’s prevent stroke in symptomatic carotid stenosis. Prior literature has pointed to a restenosis rate however of 5-15%. Many have argued that lack of using a patch during the CEA increases the rate of restenosis. The idea is that closure of an arteriotomy with a patch minimizes the effect of neointimal hyperplasia and scarring, maintaining arterial lumen diameter after the procedure. A handful of retrospective studies, a meta-analysis and one small randomized trial have contributed to answering this question. While some data points to improvement of stenosis rate with application of the patch and improvement in recurrent stroke prevention as well; the data is still a mixed bag with both positive and negative results. Malas et al evaluate whether patching in carotid revascularization reduces restenosis and provides the benefit of preventing further strokes. This study’s strength lies in the number of patients it has to evaluate. Using the CREST results, 1082 patients were included. As a reminder, CREST randomly assigned patients with symptomatic or asymptomatic carotid stenosis to undergo carotid-artery stenting or carotid endarterectomy. For this study, only the CEA patients were evaluated. Duplex ultrasounds were performed at baseline, 1,6,12,24 and 48 months. Restenosis rates at two years were assessed, defined as 70% or greater diameter reducing stenosis based on elevated peak systolic velocity of 3.0 m/s or higher. With regards to results: 753 (65%) underwent CEA with patch and 329 (29%) underwent primary closure. 44 patients were excluded due to undergoing eversion CEA and 25 patients had missing data. By specialty, 89% of vascular surgeons, 6% of neurosurgeons and 76% of thoracic surgeons patched. There was significant reduction in the 2-year risk of restenosis, even when adjusted by surgeon specialty (HR = 0.35, p=.006). There was however no significant difference in the rates of periprocedural stroke and death (HR 1.58, P=.57) or 4-year risk of ipsilateral stroke (HR=1.23, P=0.71). The results that Malas et al generate in terms of restenosis reduction at 2 years are quite convincing. Prior studies may have shown mixed results due to the small sample size which may not have adequately powered for a difference. In this sense, one could argue that patching should be routine for CEA patients. The study however, does not evaluate for complications of patching such as infection which is a function of the CREST data set. Curiously, even though there is improvement of the 2 year restenosis rates, there is no clear effect on the 4 year risk of ipsilateral stroke. While prior smaller studies have shown this benefit (a recent CREST analysis showed that patients with restenosis had significantly higher risk of stroke), one could argue that at 4 years, evaluating a stroke as a function of that restenosis may be not long enough of a time span to see that benefit. It is unclear what the average duration of restenosis is in these patients, but if restenosis develops at 2 years post CEA, we know that the benefits of CEA aren’t potentially seen until 5 years in moderate stenosis as per NASCET2. Thus evaluation of a stroke at 4 years (which is only 2 years after the cut off for evaluation of restenosis) may be too short of a time window to actually capture strokes which are a function of that particular stenosis. By in large, there is likely something beneficial to patching in CEA. Multiple studies have found similar findings, although at times, the data are not completely in harmony. Although this study only hit home on one of its’ two endpoints, it still lends support to “PRO Patch,” and, in my opinion, there is enough data out there otherwise to suggest a benefit. Drink up some Bud…just not too much! The consumption of heavy alcohol has been linked to an increased risk of acute ischemic stroke and hemorrhagic stroke. Previous studies have had conflicting results on the moderate consumption of alcohol and stroke risk.1-3 A meta-analysis and systematic review by Patra and colleagues showed that heavy alcohol consumption increases the relative risk of any stroke while light or moderate alcohol consumption may be protective against ischemic stroke.4 The authors of this study attempt to fill a gap in knowledge regarding variance between stroke risk and alcohol consumption. They specifically looked at whether stroke risk associated with alcohol consumption is stable over time. The authors analyzed 11,644 members of the population-based Swedish Twin Registry born 1886-1925 with alcohol data before the age of 60. The interaction of midlife alcohol consumption by age at stroke was evaluated in Cox regression and analyses of monozygotic twins were utilized. It was found that 29% of the cohort developed stroke. When comparing light drinkers to heavy drinkers, heavy drinkers were found to have a greater risk of stroke (HR = 1.34, p=0.02). Midlife heavy drinkers were at high risk from baseline until age 75 when hypertension and diabetes grew to being the more relevant risk factors. The authors further analyzed monozygotic twin pairs and showed prolongation of time to stroke for non-drinkers by 2.07 years (p=0.11), for light drinkers by 0.77 years (p=0.54), and for moderate drinkers by 1.15 years (p=0.47) compared to very-light drinkers. The results for heavy drinkers showed decreased time to stroke by 5.68 years (p=0.029). This study primarily expands on previous research in the assessment of the risk of stroke attributable to alcohol consumption. The results show that risk of stroke associated with heavy drinking in midlife is at least comparable to stroke risk associated with risk factors like diabetes or hypertension; however, the age when those risk factors are relevant do vary. Interestingly, the authors find that the risk of hemorrhagic stroke is higher for heavy alcohol consumers relative to ischemic stroke. Based on a previous review from the cardiac literature, the authors postulate that alcohol can give some protection from ischemic stroke by improving thrombolytic profiles and increasing blood flow. A search in the medical literature yields previous studies that demonstrate the beneficial effects of alcohol in cardiovascular health however there were very few studies that investigated the effects of alcohol consumption and its protective/harmful effect on neurons during an ischemic stroke. The stroke community should make more targeted efforts on educating younger patients (midlife) on alcohol consumption and its risks going forward. However, there remains a need for further studies on different populations around the globe to be conducted (as this was based on a Swedish cohort) to ensure that the results can be generalizable. 1. Caicoya M, Rodriguez T, Corrales C, Cuello R, Lasheras C: Alcohol and stroke. A community case control study in Astrurias, Spain. J Clin Epidemiol 1999, 52:677-684. 2. Donahue RP, Abbott RD, Reed DM, Yano K: Alcohol and hemorrhagic stroke: the Honolulu Heart Program. JAMA 1986, 255:2311-2314. Mendelian Randomization is initially a difficult process to grasp. However, when broken down to its most essential parts, it actually makes good sense. The classic example used is the relationship between lower cholesterol levels (variable) and cancer (outcome). Does having lower cholesterol expose one to having cancer? –or is it the other way around, where having cancer leads to lower nutrition and lower levels of cholesterol? Or are there too many confounding factors to be able to tell if there really is a relationship between the two? Mendelian randomization employs a third party, in this case, ApoE2 (AKA the extra variable) which is a known variant of lower cholesterol levels, to help decipher the difference. If lower cholesterol is indeed the cause of cancer, then the cancer patients should have more ApoE2 alleles than the control group. Otherwise, the distribution should be similar in both groups. Now that the rocket science has been explained, we go on to discuss Kjaergaard et al’s paper. In essence, the question is whether or not plasma YKL-40 levels are associated with elevated lipids, lipoproteins, and an increased risk of ischemic vascular disease. YKL-40 is 40 kDa plasma protein produced by lipid laden macrophages inside the vessel wall. More than 96,000 individuals in a Danish population were evaluated between 1977 to 2013. When comparing 91-100% vs. 0-33% YKL-40 percentile category, there was a 34% increase in triglycerides (TG). With multifactorial adjustment, HR’s were 1.99 (significant) for stroke, 1.85 (significant) for ischemic cardiovascular disease, 1.28 (non significant) for MI. The extra variable employed as the CHI3LI gene which is known to be associated with YKL-40 levels, yet not with TG levels or with risk of ischemic vascular disease. Beyond the complexities of statistics and the data that claims there is an association between TKL-40 and ischemic stroke, what does this actually mean to the clinical physician? The first interesting point is that YKL-40 was shown to be significantly associated with ischemic stroke, but not myocardial infarction. Is there something about this marker than predicts it to be specific to neurologic ischemia? The authors hypothesize that astrocytes in the brain express this protein more in ischemic strokes and that it may potentially be a sensitive marker of small or covert cerebrovascular disease. This research ultimately does trudge on generalized principles, which makes it difficult for the lay person to see what potential clinical applications may ensue. What role will checking WKL-40 in stroke patients have? Will it be used in lieu of lipids? Will it be a lab to check in the acute period where there is concern for stroke? Or will it be used as a primary stroke prevention screen? There are still many questions to answer on a wide open topic. Nonetheless, I would have been extremely interested to see a stratification of TOAST criteria and YKL-40 levels in conjunction to strokes. Ultimately, YKL-40 is expressed in macrophages in vessel walls. If we could find a correlation to a TOAST subtype, it would help elucidate the potential underlying mechanism in which YKL-40 has a relationship to increased ischemic stroke events. Understanding the normal function of a gene can be assessed in preclinical models by creating a knockout. This allows for evaluation of the pathological state resulting from its absence. The ATP-binding cassette transporter A1 (ABCA1) gene functions in cellular cholesterol efflux for the neurovascular unit and has anti-inflammatory effects. Various proteins affect ACBA1 expression and several others are influenced by its function. Liver X receptors (LXRs) are transcriptional factors that regulate ABCA1 gene expression, whose activation decreases neuroinflammation, promotes synaptic plasticity and axonal regeneration, and improves neurological outcome after ischemic injury. Insulin-like growth factor 1 (IGF1) is involved in neurogenesis and myelination; it decreases cholesterol efflux through ABCA1. It also has neuroprotective properties and reduces stroke-induced blood-brain barrier (BBB) damage. Matrix metalloproteinase 9 (MMP9), with breakdown of its substrates (BBB-tight junction and basement membrane extracellular matrix proteins), contributes to BBB leakage after stroke. Aquaporin-4 in the brain mediates water homeostasis and plays a role in cerebral edema formation. In this study, Cui et al evaluated the ramifications of ABCA1 deficiency on the BBB, white matter and axonal damage, as well as functional outcome in a murine model of stroke. They took ABCA1 knockout and control mice, subjected them to distal MCA occlusion (dMCAo), and sacrificed them 7 days later. A somatosensory functional test was performed prior to dMCAo and 1, 3, and 7 days afterwards. Histological and immunohistochemical assessment of axons, myelin, and oligodendroglia as well as lesion volume measurement was completed on serial brain sections. ABCA1 deficiency was associated with a significant increase in neurological deficits at 1, 3, and 7 days after dMCAo as well as increased axonal and white-matter damage in the ischemic region. The authors found increased BBB dysfunction 7 days after dMCAo, evidenced by increased albumin density and decreased aquaporin-4 (AQP4) protein expression, in the ABCA1 deficient mice compared to controls. Increased MMP9 and decreased IGF1 expression was also found in ABCA1 deficient mice. In primary cultured astrocytes that did not express ABCA1, the transcription and translation of MMP9 was increased whereas AQP4 and IGF1 were decreased. 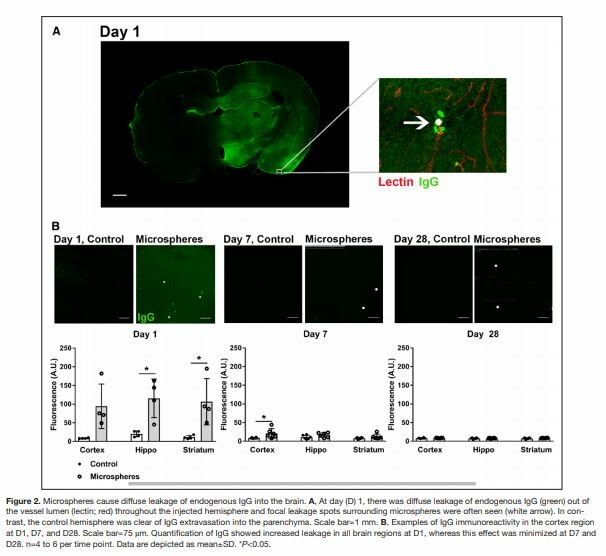 Furthermore, neural projection growth was decreased in cultured neurons that did not express brain ABCA1; IGF1 treatment attenuated this reduction. This study is the first to demonstrate that ABCA1 deficiency increases BBB leakage, tissue injury, and functional deficit after stroke. Alterations in AQP4, MMP9, IGF1, and LXRs after stroke (especially malignant infarction) in human brain needs to be further investigated. Insight gained from this could help better elucidate the pathophysiology of acute tissue injury and cerebral edema after infarction and may lead to novel preventive and therapeutic measures. In light of this ambiguity, some SUNY and Tufts investigators conducted a survey of active urban academic neurologists as to how they make tPA decisions in the setting of minor acute ischemic stroke. The standardized survey was composed 110 clinical cases with permutations in NIHSS, symptom type, pattern of changes, and age/occupation. The survey composition has its flaws and the makeup of the respondents, including only 43% of those invited, calls the generalizability into question but, NIHSS is not the only determinant of tPA provision, although it was a significant factor. Symptom type (language/neglect over motor and visual/sensory/ataxia) and age/occupation (35/violinist, 52/taxi driver, and 65/lawyer over 80/retired) were also significant predictors of tPA provision when controlling for NIHSS. 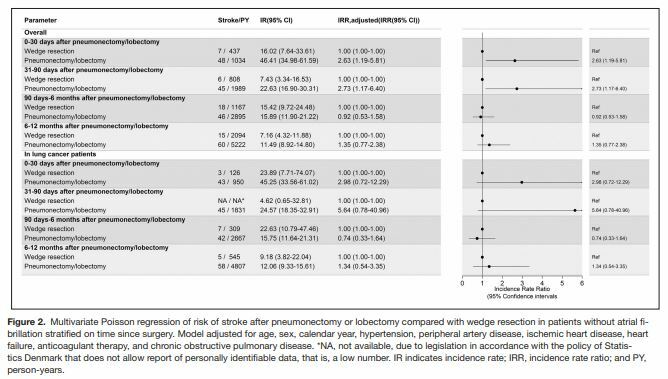 These are the first quantitative data on tPA decision-making for minor acute stroke. The findings of this survey are interesting if not unsurprising. It would be shortsighted to make tPA decisions based on NIHSS alone, but what of the symptom clusters separated them? Or are we reading too much into it because of the symptom clusters are not individual features as we discern at the bedside? And what about age? Is the withholding of tPA to the 80 year old retiree an acknowledgment of series suggesting lower tPA efficacy and higher bleed risk or ageism? As the investigators say, future similarly designed surveys (hopefully with acknowledged limitations addressed) cast additional light to better understand practice patterns in this controversial realm. That is an important step before we can constructively scrutinize “typical practice” and make recommendations for minor stroke. The attributable risk of genetics to the development of ischemic strokes is likely higher than most of us realize. While typical risk factors such as hypertension, dyslipidemia, diabetes and smoking are relatively well-understood, less is known about the role of an individual’s genetic makeup to determine who is at higher risk of suffering an ischemic stroke. As someone who has had two previous generations of family members with “cryptogenic” strokes/thrombosis, the genetics of conditions of hypercoagulability has always interested me. While the connection between different hypercoagulable conditions and ischemic stroke has been more established, reversing the concept by attempting to broadly detect different susceptibility genes for ischemic strokes is one that has proven more difficult due to the presence of pathophysiological differences in ischemic stroke subtypes. The multinational group in the article cited decided to analyze genome-wide summary data for 12, 389 ischemic strokes from 15 different studies and divided the patients into three major subtypes of large artery atherosclerosis (LAA: 2,167 patients), cardioembolism (2,405 patients) and small vessel disease (SVD: 1,854 patients). The remainder of the patient’s not classified had other, undetermined or cryptogenic etiologies. There were 62,004 controls. Their goal was to determine if the ischemic stroke subtypes had any genetic overlap to suggest that a specific genetic locus can contribute to more than one ischemic stroke subtype. Statistical analyses used for determining genetic correlations were linear mixed models and polygenic profile scores. They found that there was high genetic correlation between LAA and SVD patients using linear mixed models and specifically there was a strong association in the joint meta-analysis of LAA and SVD near the opioid receptor mu1 (OPRM1) gene. The study reveals an exciting piece of information that LAA and SVD may have a shared genetic etiology and that these two entities may be more alike than we think. More studies are needed to verify and further clarify this association and these future studies will no doubt provide more information regarding gene function and biological mechanisms that may be shared by these genetic loci, which logically would lead to another proposed channel of treatment of these stroke subtypes. Genetic research is a fundamental component of broadening the field of stroke research and continued discovery into the link of what causes strokes can lead to more effective methods of stroke prevention and treatment. Just as in real estate, location within the brain is of utmost importance to a stroke neurologist! Intracerebral hemorrhage outcomes have unfortunately not changed as much as we would have hoped over the past 20 years, with only 60% of patients surviving a month. Those who survive have comparable risks for ischemic v/s hemorrhagic stroke in the future. Given the grim nature of the entity, there has been a lot of focus trying to identify and quantify prognostic factors so that we can help patients and their families make informed decisions. The ICH score was developed in 2001 to predict 1 month mortality, and included age, Glasgow Coma Scale, ICH location, ICH volume, and intraventricular extension as components. Among the components, age and location (supratentorial or infratentorial) were the strongest predictors. ICH grading scale (ICH-GS) was proposed in in 2007 and improved discrimination slightly by using different cutoffs and points assignment. However, location was still classified as supra versus infratentorial. As four fifths of all ICH are supratentorial, there have been few studies focussing on differences in outcome contingent on whether ICH is lobar versus non-lobar, as opposed to supratentorial versus infratentorial. The influence of supratentorial ICH location on outcome is not well established. In the current issue of Stroke, Samarasekera et al. study the effect of lobar and non-lobar location on outcome in a prospective population-based cohort in Scotland of 695,335 people aged >=16 years. 128 incident primary ICHs between June 2010 – June 2011 were included. An experienced neuroradiologist classified ICH location into non-lobar (brainstem, cerebellum, basal ganglia, internal or external capsule, thalamus) and lobar. Lobar location, constituting 53% of the ICHs was more often associated with prior dementia, lower GCS score, larger volume, as well as subarachnoid and subdural extension. However, lobar hemorrhages were less likely to be dead at 1 year (adjusted OR 0.21, CI 0.07 – 0.63) as compared to non-lobar hemorrhages, after adjustment for known predictors. Supratentorial hemorrhages were associated with lower odds of death at one year as compared to infratentorial hemorrhages. There were 4 recurrent ICHs, all among the lobar ICH group. When the authors reclassified location in the ICH score as lobar, deep or infratentorial, it did not improve the discrimination of ICH score for outcome at 1 year. This is an important study as it validates several observations such as better outcome in lobar ICHs but higher risk of recurrence. Also, it validates the ICH score in a population based cohort and reasserts its discriminative ability. The higher prevalence of dementia in lobar ICH may stem from cerebral amyloid angiopathy. As the population-based cohort study continues follow-up, it will be an important source of outcome as well as natural history data in intracerebral hemorrhage. Important radiologic and clinical factors will continue to shed more and more light on the subsets of the heterogenous entity of ICH, which in the long run may lead to novel interventions for them. We remain hopeful that we will be able to do better than having 20% patients die within the first 2 days of an ICH. The carotid ultrasound is the one part of the stroke workup truly essential due to the established evidence-based guidelines regarding carotid revascularization in symptomatic carotid stenosis. The selection of candidates for carotid revascularization however is currently decided by medical professionals picking a number (i.e. >70%) that they feel is high enough to warrant a procedure for patients with strokes on the ipsilateral side of the carotid stenosis (symptomatic carotid stenosis). A better question to ask is whether the carotid plaque, regardless of degree of stenosis, has characteristics that make it a “dangerous” plaque at risk of rupturing again. The group out of the Netherlands asked this question and decided to assess carotid plaques with 3 Tesla MRI scanners to assess whether particular plaque components (intraplaque hemorrhage (IPH) or thin/ruptured fibrous cap (TRFC)) were associated with the presence of infarcts on MRI. The group analyzed 101 patients with symptomatic 30-69% carotid artery stenosis who underwent a 3T MRI of the carotid arteries and the brain within 45 days of symptom onset. They used two different readers blinded to the brain MRI results, to analyze the carotid artery MRI and examine them for IPH and TRFC. They found that IPH was present in 40 out of the 101 patient with 55% having infarcts on the side of the carotid plaque however in the patients without IPH, 41% had infarcts on the symptomatic side (p= 0.22). A TRFC was present in 49 out of 86 patients (15 patients could not have fibrous cap assessed), with 45% having infarcts on the side of the symptomatic carotid however this was not significantly different from the 49% in the 37 patients with a thick fibrous cap. The significance did not change when only cortical (instead of both subcortical and cortical) infarcts were taken into account. Though the data was a bit underwhelming in terms of significance, the study still provides important findings and implications regarding the future of plaque analysis in determining who would be a good candidate for carotid revascularization. Perhaps an imaging method besides MRI may be better suited for identifying plaque components or perhaps the best series for analyzing these components on MRI has not been defined as of yet. Regardless, the thought process demonstrated by the authors is an ideal one that all practitioners should follow rather than simply letting a number dictate treatment. Intracerebral hemorrhage is a complex disease with numerous factors affecting prognosis. Glasgow coma scale, age, volume, intraventricular extension and infratentorial origin are the most commonly used factors to guide prognosis: comprising the ICH score. For supratentorial ICH the location of hemorrhage as a predictor of prognosis has not been as well described. Primary ICH can originate from the deep perforating arteries off of the large arteries at the base of the brain, most often in the lentiform nucleus and thalamus as well as small vessels within the cerebral hemispheres. Samarasekera et al provide a descriptive analyses comparing origin of first-ever hemorrhage due to lobar and non-lobar location. Their results are support pathophysiological and etiologic differences for ICH in these locations. For example cortical ICH is more likely to occur in the setting of dementia and more likely to extend in size and recur. Survival is worse in non-lobar ICH. ICH is a deadly disease with a 1-year mortality of >50% and mortality/disability of 86%. Location can help identify prognosis. I wonder if within the non-lobar ICH cases whether lentiform nucleus location vs. thalamic location has differential effect on prognosis when controlling for other factors. I would imagine that the thalamus is a more vital structure for recovery without disability, but I am not sure. There is a lot to learn about ICH and there is a real need to develop better preventative and treatment strategies. Here is more on stenting and angioplasty for intracranial artery stenosis in patients already on antithrombotic therapy. The authors conducted a subgroup analysis of the SAMMPRIS population (Stenting vs. Aggressive Medical Therapy for Intracranial Arterial Stenosis) to identify those who were and were not receiving antithrombotic therapy (AT) at the time of the qualifying event that led to randomization into the trial. Patients were included in the antithrombotic therapy group whether they were on single or multiple antiplatelet agents or anticoagulants at the time of the qualifying event and irrespective of the duration of treatment. The primary endpoint consisted of stroke and death within 30 days after enrollment or within 30 days after a revascularization procedure during follow-up, and ischemic stroke in the territory of the qualifying artery beyond 30 days after enrollment. Baseline characteristics were compared using Fisher’s exact test, independent group t-test or Wilcoxon rank sum test. Times to event curves for the primary endpoint were plotted using the logrank test separately for patients on and off AT at the time of the qualifying event. A total of 284/451 patients (63%) had their intial event on antithrombotic therapy. These patients were mostly taking one or more antiplatelet agents at the time of the event, 22.5% were on dual antiplatelet therapy and 4.2% were on anticoagulant therapy. The AT group differed from the non AT group with regards to baseline risk factors- a greater prevalence of lipid disorders, coronary artery disease, prior stroke, old infarcts on imaging, verterbral or basilar artery stenosis was seen in this group. Of 284 patients taking AT, 140 were randomized to aggressive medical management (AMM) and 144 to angioplasty and stenting (AS). The 2 year rates of primary endpoints were 15.6% in the AMM group and 21.6% in the AS group (p = 0.043). Of those on dual antiplatelet therapy prior to randomization these rates were not significantly different between the two groups – AMM and AS. The 2 year rates of primary endpoint did not differ significantly amongst those not on prior AT. Antithrombotic use at the time of the qualifying event was not related to the primary endpoint in either group. Does this subgroup analysis change anything for the stroke practitioners? Not really. The study was stopped early and underpowered and hence all the subgroup analyses whether prespecified or not will not be able to tell us anything conclusively. We continue to use aggressive medical management over angioplasty and stenting in our patients with large vessel intracranial artery stenosis since the frequency of primary end points was much lower in this group. Being on antithrombotic therapy prior to randomization in the absence of other risk factor control did not seem to affect the primary end point risk. The bottom line is that we should continue aggressive medical management.